Hair (Length, color, style, etc. ): Ice White, when he is too hot slowly changes to black. Eyes: Ice White, laced with sapphire blue flecks, and streaked with gold lines. Body Type (Height, weight, etc. ): Small and Limber, around 135 lbs. 5' 6"
Distinct Markings (Freckles, scars, birthmarks, etc. ): Pale white face is pockmarked with freckles and there is a scar crossing over his left eyelid, one inch (rough) above and below it. Personality (Friendly, mean, different, violent, etc. ): Usually like able, but when he begins to overheat, he becomes quick to anger and hard to work with. Powers (optional): Controls ice and snow the same way Leo can control Fire. Can create tools of hardened ice (not blades, they are never sharp) and other shapes/sculptures. Fatal Flaw: Secret fear of fire when it is not being used for cooking or heat/light. Other Flaws (at least two others): Sometimes becomes detached, when too hot becomes irritable. Weapon(s): Wavy, slightly curved, single edged sword made of ice that never melts, blended with Stygian Iron. Pets: Ice Phoenix, his only companion for the first 9 years of his life, other than his books of course. Tied to his life, it will live as long as he does, and when he dies it does with him. Slightly smaller than a parrot. Talents/Skills: Fast, can navigate a snowstorm, or most windy enviorments/weather phenomena with extreme ease. Very intelligent, loves to read. Can see in the dark, his eyes glow when he does this. A whirlwind of ice and snow shoots out and the enemy is left frozen solid, and slowly sliding apart. "Practice, practice my friend, and books. Read books they help quite a bit"
Biography: His father met Khione when he traveled for research to the South Pole. Khione was disguised as one of the researchers to make sure the pole was still as safe as it could be. One of the scientists had set up a machine that could begin to melt the ice cap, and the seaside underneath would perish. As Khione rushed to stop him, Ave's father was already there shutting everything down. Over the year he was there, him and Khione fell in love, and she eventually revealed who she was to him. She offered to keep him here forever, as her husband, as she truly loved him, when he accepted, Khione was overjoyed and whisked him away from the facility to her home on the frozen tundra. Years later, when Khione was pregnant with Ave, he was killed by other researchers, who believed he was something else. Khione fell into a depression after this, she had lost the love of her immortal life and had only their son to remember him by. She could not bear to keep him, after a few years, she gave him a companion, a few dozen weightless books, and a mystic sword that would grow with him, and cast him out after clearing his memories of her and his time with her. Once abandoned, he had to survive in the tundra, living alone and eating mostly fish, with only his books and faithful bird to keep him company. Although it seemed that once he had read one book a few times over, it disappeared and a new, different book was left in its place. Eventually the same group of researchers who had returned year after year found him at age 9, alone on the tundra, unharmed and wanting to return to where he was. They took him back to America with them and placed him in an orphanage, the sword and bird had disappeared for a time, and once he started being attacked by monsters, he escaped the orphanage and ran. As he did so, his bird and sword came back to him. 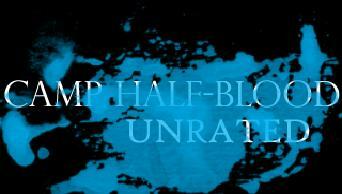 And after years running, and devouring any scrap of knowledge he could find, he found his way to Camp Half Blood... And here is where Ave's story begins.